THE ELFSTONES OF SHANNARA: Ancient evil threatens the Elves and the Races of Man. For the Ellcrys, the tree of long-lost Elven magic, is dying - loosing the spell of Forbidding that locks the hordes of Demons away from Earth. Only one source has the power to stop it: the Elfstones of Shannara. THE WISHSONG OF SHANNARA: Evil stalks the Four Lands as the Ildatch, immemorial book of evil spells, has stirred to eldritch life. Once again Allanon, ancient Druid Protector of the Races, must seek the help of a descendant of Jerle Shannara. TERRY BROOKS was born in Illinois in 1944. He spent a great deal of his childhood and early adulthood dreaming up stories in and around Sinnissippi Park, the very same park that would eventually become the setting for his bestsellingWord & Void trilogy. He received his undergraduate degree from Hamilton College, where he majored in English Literature, and went on to earn his graduate degree from the School of Law at Washington & Lee University. A writer since high school, he wrote many stories within the genres of science fiction, western, and fiction but was unable to finish any project. Then one fateful semester early in college he was given The Lord of the Rings to read. That moment changed Terry’s life forever. In Tolkien’s great work he found all the elements needed to fully explore his writing combined in one genre. He then wrote The Sword of Shannara. It took him seven years to finish it. It became the first work of fiction ever to appear on the New York Times trade paperback bestseller list, where it remained for over five months. During the spare time he could afford from his law practice, Terry wrote The Elfstones of Shannara, which followed in 1982 and once again brought the literary world an epic novel of wonder and adventure in the eagerly awaited sequel to The Sword of Shannara. The Wishsong of Shannara, published in 1985, finished the remarkable trilogy. After publishing his first three Shannara novels, even though he was hesitant, Terry quit his practice of law to pursue a full-time writing career. He began writing Magic Kingdom for Sale—Sold!, which began a bestselling new series for him in 1986. After moving to Seattle where he wrote two more Landovernovels—The Black Unicorn and Wizard At Large—he wrote The Heritage of Shannara, a four-book series returning to the very heart that had made him such a success. The publication of The Talismans of Shannara in 1993 concluded that storyline. Terry is unable to write in one series for long. He needs, as a creative writer, to take time off from a project which inevitably allows him to recharge. Rather than start a new Shannara novel after he finished The Heritage of Shannara series, he wrote two more Landover books—The Tangle Box & Witches’ Brew. Once done with the Landover books and another foray into Shannara with the release of First King of Shannara, Terry decided to create something new. Since the beginning of The Heritage of Shannara series in 1990, Terry had been thinking of a new series—a dark, contemporary fantasy set in a town similar to the Illinois hometown he grew up in. The idea for this new series grew, expanded, and grew some more over the next several years and, in September 1997, Terry released Running With the Demon, his darkest most complex masterwork yet. The story of Nest Freemark and John Ross continued in A Knight of the Word and Angel Fire East in what has been tentatively titled the Word & Void trilogy. In the midst of writing the Word & Void trilogy, George Lucas—the esteemed creator of Star Wars—personally asked Terry if he would write the novelization to Star Wars Episode I: The Phantom Menace. Being a Star Warsfan Terry agreed easily and soon found himself travelling to Skywalker Ranch to discuss the project with Lucas. A month before the theatrical release of the movie the book was published with #1 bestselling success. It was during this time that Terry decided to have an official website, one that a dedicated fan would devote time towards to ensure that the latest news, touring information, and book summaries could be available to his fans. Terry found his fan. The Voyage of the Jerle Shannara and High Druid of Shannara. The six books take place 130 years and 150 years respectively after the events of The Talismans of Shannara, where Walker Boh is still a Druid and is still trying to form a new Druid Council. Taking a bold new direction, Terry wrote the Genesis of Shannara series, which begins with Armageddon’s Children. Set 80 years after the Word & Void trilogy, it undeniably answers a long-standing fan question and connects that series with the Shannara series. In 2009, Landover fans rejoiced. Terry published A Princess of Landover, returning to the Landover series after a 14 years hiatus. It features Ben and Holiday’s willful daughter Mistaya in an adventure of her own. This year’s release of Bearers of the Black Staff, Book I of the Legends of Shannara series, marks the thirty-third year Terry has been a published author. It begins a two-book series set 500 years after the events of The Gypsy Morph. The Measure of the Magic, the second book in the series, is finished and will publish in August 2011. 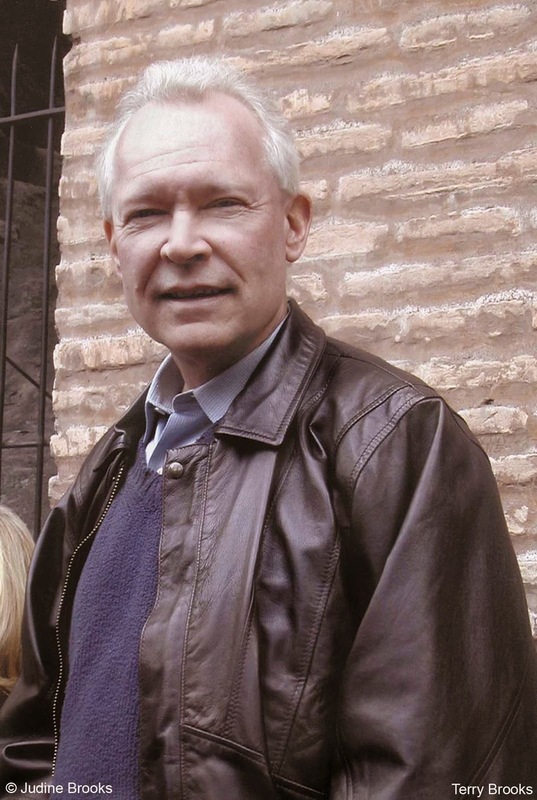 Terry Brooks lives with his wife Judine in the Pacific Northwest and on the road meeting his fans. 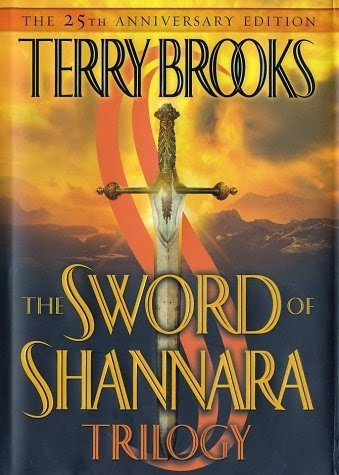 The Sword of Shanara trilogy written by Terry Brooks is about a mythical world rooted in the tension between old-world-magic and, what could be seen, as rational thought. We are taken on an expansive trip through the three separate generations of the Ohmsford family. This is a family of elven children who are actually teenagers, who unknowingly possess magical skills that can unlock some of the great events threatening the world they hold dear. The adventures in this quasi-medieval world involve the conflation of the races of men, elves, dwarves and, yes even trolls and gnomes. All of the inhabitants of this world are pawns in a struggle between the forces of magic and the books present, which smacks of an emerging modernity. Forged from an intricate history involving ancient wars and what we could see as geo-political conflicts, there emerges a sprawling epic not too different from what we experience in our own world. The author uses the character of Allanon, a man symbolizing a race of men called the druids, to parcel out historical lessons to these protagonist young people as he leads them through dangerous adventures. At one time the druids mastered the mysteries of using magic to try and better the human condition, but the intertwining epics of three generations makes the reader understand that the wielding of magic and power can have devastating effects. Absolute power tends to absolutely corrupt. I found the work, although somewhat wordy, a wonderful read. Brooks’ power of description to the many environments, the descriptions of character emotions, and the varied monster and beast creatures, made this a treasure-trove of description. Although the two maps provided general locations to the many rivers, mountains, cities and castles, I did wish, however, that the map could provide more detail to the narrative. I believe the work was worthy of some illustrations and relief maps. I wanted to follow the treks, particularly of Jair Ohmsford’s party and his sister Brin Ohmsford and her party. The power of the work was manifest in how the protagonist’s inner-monologue worked while confronted with flagrant evil. The young adults were driven by restraint and circumspection about what they felt they needed to do to save their selves and their kind. Their self-doubt, introspective thoughts were refreshing in an age of computer games where kids feel that destructive force is always justified. Make no mistake violence forces are afoot, but so is the power of reason. I found the young protagonists were governed by a higher power mitigating against blind rage and thoughtless action. Our protagonists in all three epics do what we all should do, question ourselves, gather some facts and have the courage to carry out our mission. We all face forces that loom bigger than what we are capable of handling. Of course, sometimes the nature of faith enters in as well. There are no theistic components here that I can see, but there doesn’t need to be. Faith in a common good, free will and understanding that there is good and there is evil pervades these stories. The characters learn to trust one another and value each other’s purpose. There is the threat of holocaust, destruction and chaos at every turn, but this world is also governed by the forces for good. The players have stakes, experience death, separation and suffering, but all for the welfare and preservation of family and tribe. This is a must for your library. There is a powerful imagination residing in this work. 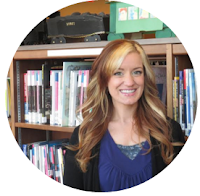 I am entertained, but I am also edified by the lessons that are so abundant in this work.